Home > Uncategorized > What are the Advantages of the PSC/STL LED Strobe Beacon? Could you imagine a world without light? Light is very important to us, most especially when doing our daily tasks. It is also everywhere we go. We really on it hugely through vision, enabling us to see where we are going. The most important source of light that we have is the sun. There is no denying that the sun is what lets us see the real beauty of the world. Aside from the sun, there are some other important light sources, just like the LED or light emitting diode, and the laser. All of these has been a huge part of lives. They, in fact, are beneficial in providing additional security and safety. 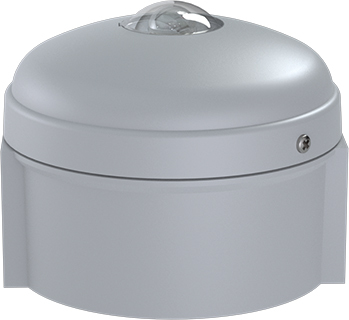 One of which is the PSC/STL LED Strobe Beacon, which has a number of advantages. What is a PSC/STL LED Strobe Beacon? The PSC/STL LED Strobe Beacon is a device that’s beneficial in producing regular light flashes. It is actually just one of the so many devices, designed for emergency warning purposes. The common commercial xenon actually has a flash energy ranging from 10 up to 150 joules. Also, it may have a certain discharge time of about seconds. This now, is what results in the flash power of numerous kilowatts. Furthermore, it actually has the same visual effect as the xenon strobe. The light source of the PSC/STL LED Strobe Beacon is obviously the light emitting diode or LED. We know that it is a semiconductor source with two lead of light that produces light when a certain junction diode is activated. Furthermore, when a specific current is being applied into its leads, the electrons will combine once more with the holes of the electron in the device. Therefore, energy discharge takes place in the protons form of. This process is what they technically call as the electroluminescence. In addition, the colour of the light depends on the gap on the energy band of the semiconductor. 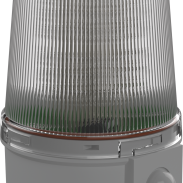 The PSC/STL beacon can be used in a variety of different applications, where a standard xenon strobe beacon would be used, such as fire evacuation warnings and emergency situations. Low Voltage: With the PSC/STL LED Strobe Beacon, there are zero restrictions on where the LED lighting may be used. Not just that, since it has a low voltage power supply, it can be sufficient. Furthermore, it is also suitable for various outdoor and indoor applications. As a matter of fact, the use of the LED technology in it allows versatility and diversity. Instant lighting: Since LED technology offers an instant lighting, it makes for a better use. While the xenon strobe may delay slightly, the light emitting diodes brighten up in an instant when you activate it. Ecologically friendly: Since LEDs are way longer lasting than the xenon strobe bulbs, there is so much lesser waste in the material. Furthermore, they are also free of chemicals that are toxic, therefore helping the environment. Sharp and crisp details: The LEDs as we know has the capacity to run in as much higher flash rate than the xenon strobes. This is even without losing the intensity that is necessary with the xenon. More consistent: The output light of the LED is much more stable and there is no arc wander in it. Not just that, there is also no flash-to-flash variation that is connected with the light sources of xenon. Durable: The LEDs are shock resistant, and is also resilient to external impacts and vibrations. They are also extremely durable and may withstand even in rough conditions. Light dispersement: With the use of LEDs, a much higher application effectiveness may be attained. This is since they are specially designed to focus lights. Thus it can be directed to a certain location even with no use of an external reflector. This is what gives a very focused beam of light, thus increasing the efficiency. Less maintenance: Since LEDs have a longer lasting life than the xenon bulbs, it is cost efficient. Energy efficient: The LEDs have an energy efficiency of about 80 to 90%. This means that the major electrical energy is converted to light. 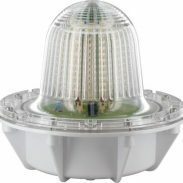 The PSC/STL LED Strobe Beacon, undeniably has the capacity of joining several units together when necessary, to deliver an integrated signalling system.